While my plant-based, mostly vegan lifestyle isn’t perfect, family members and friends that come to visit me in Arizona look forward to eating clean when they stay at my house. I can’t even count the number of times a visitor has exclaimed about living plant-based for their stay in hopes of feeling refreshed and energized and even, losing weight. So, when I have an eager-to-be-temporarily-vegan visitor, I don’t disappoint! I prepare vegan dishes at home and try to maintain my plant-based lifestyle when heading out for local grub (except when we’re out for authentic Mexican food…that’s one time that I will, against my better judgment, eat copious amounts of cheese!). My mom was recently in town for Nolan’s birthday and offered to treat my little family to dinner on her last night in Arizona. 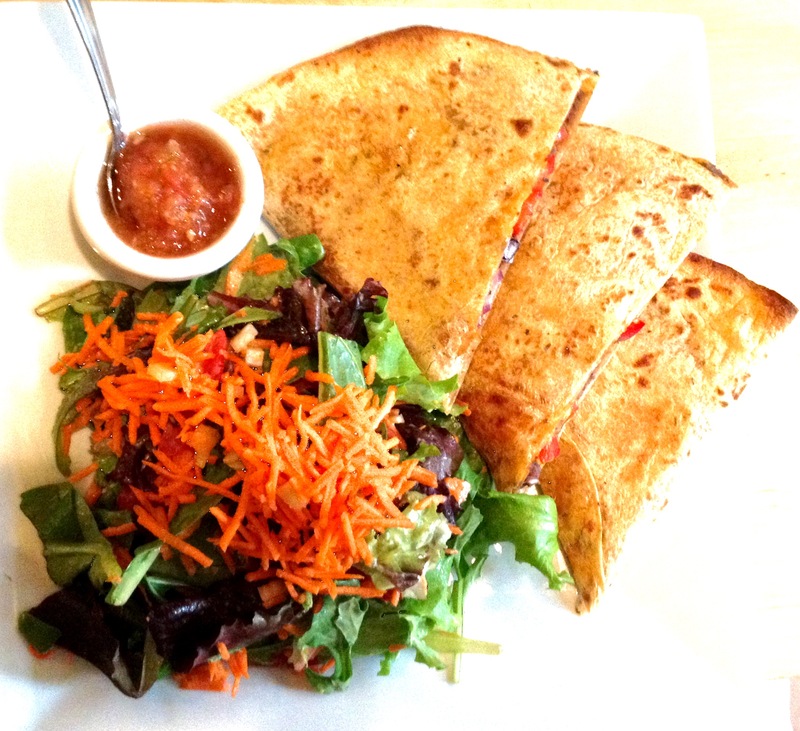 I perused the web to find a restaurant in the Phoenix area that I hadn’t yet tried and came across Sage Kitchen, an organic, non-GMO, gluten-free, vegetarian eatery. 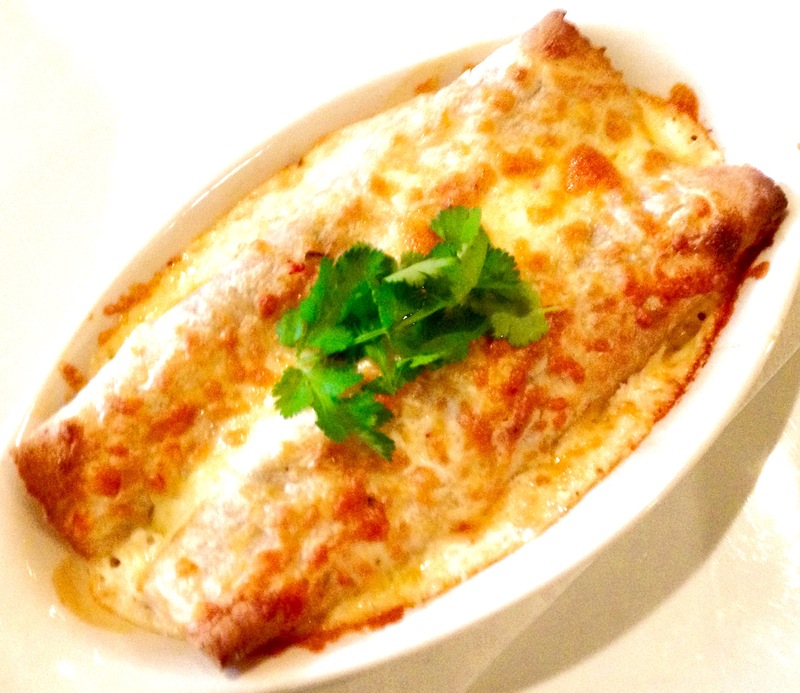 The food was so yummy I can practically still taste it and I’m excited to share my review of the restaurant with you. 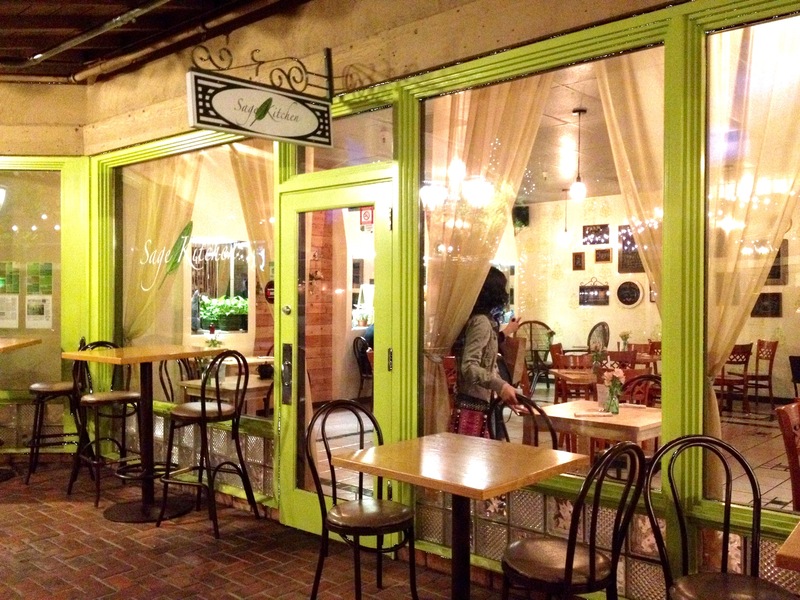 Sage Kitchen is located next to Chakra 4 Herb and Tea House, which shares its owner. As a result, the menu features a variety of teas and herbal remedies that I just had to try. Although I still dislike coffee, after our trip to Japan this past summer, I have recently grown very fond of tea. I sampled a blueberry kukicha green tea over ice that was subtly flavored and not too sweet, which is how I prefer it. Teas at Sage Kitchen are sold hot or cold by the cup, glass, pot, or carafe. Next, it was time for an appetizer. 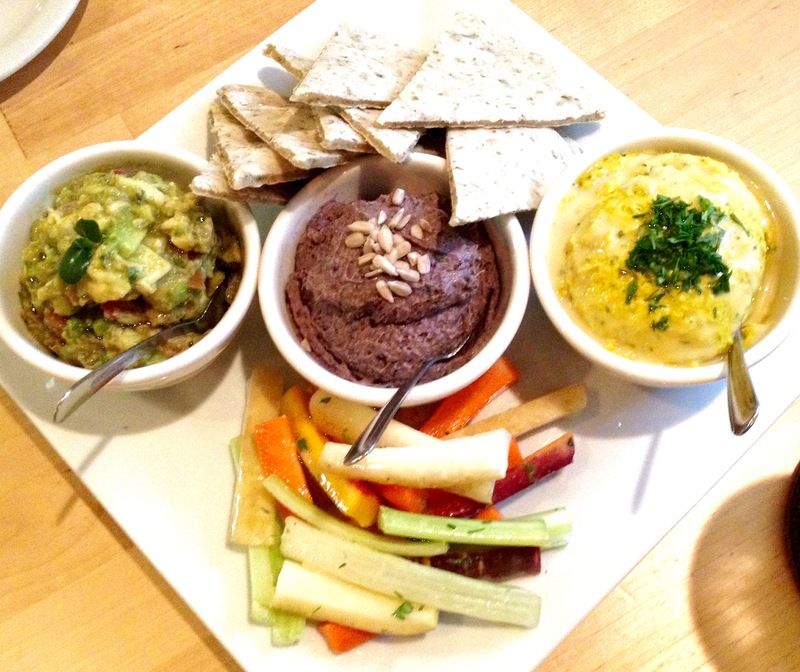 We ordered a trio of dips with marinated raw veggie sticks and homemade, gluten-free flatbread. Pictured below is an avocado dip with sunflower seeds and pepitas, a black bean hummus, and a lemon herb hummus. We were afraid of becoming too full for dinner, so we ate about half of the dips and took the rest home (they were just as delicious, if not more so, the next day). 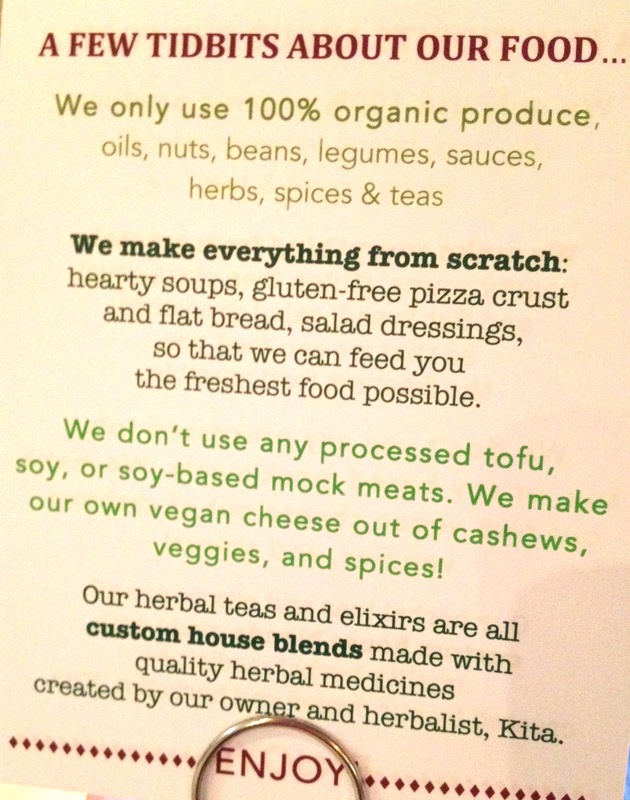 As indicated on the card you see below, Sage Kitchen avoids unnecessarily processed vegan “meats” and “cheeses,” opting for those made in house with nuts, vegetables, and spices. 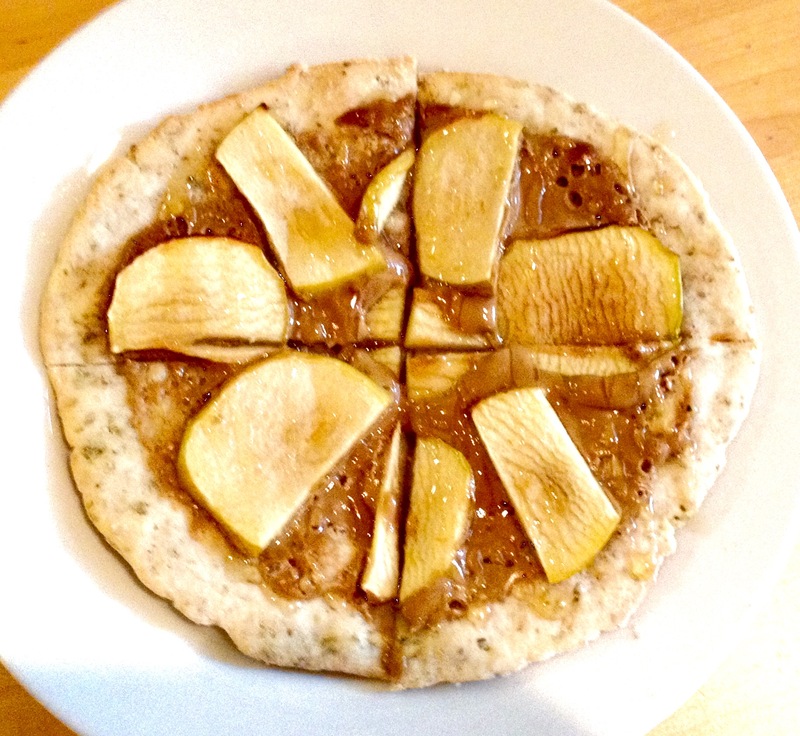 While the menu contains no actual meat products, many menu options offer real or homemade vegan cheese (as well as homemade meat substitutes) that I wanted to taste for myself. In the description of my creamy sauce formula, I admit that there really is no completely satisfying substitute for dairy cheese, but Sage Kitchen definitely came darn close to making it happen. 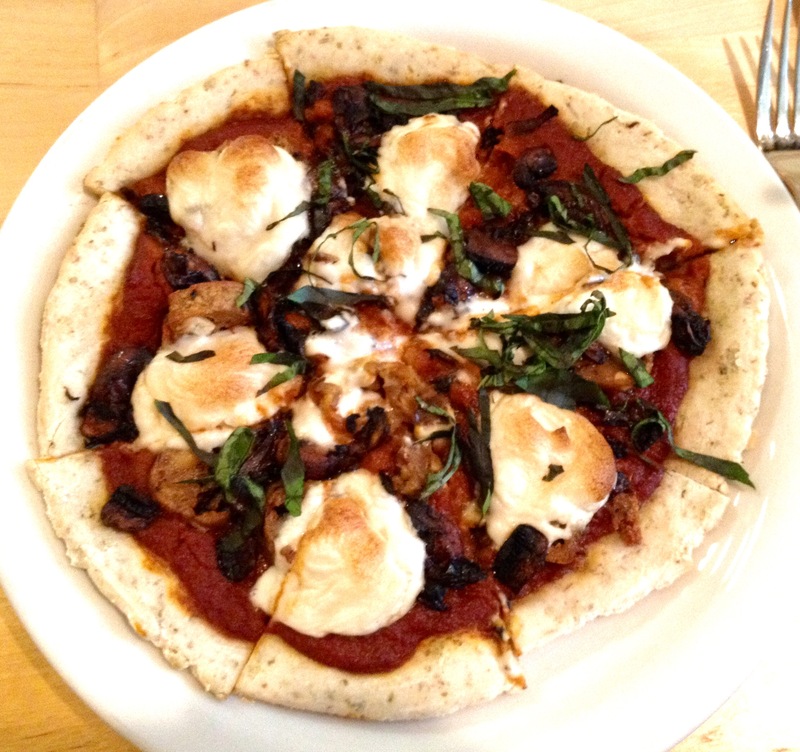 While Travis opted for real cheese in his veggie enchiladas, my mom ordered a black bean quesadilla and I ordered a “sausage and mozzarella” pizza, both containing different varieties of Sage Kitchen’s signature vegan cheeses. Let me tell you, they were so good, I didn’t miss the real thing for a second and am determined to figure out how they did it so that I can try to make these cheeses (and the sausage) on my own. The only downside to our dining experience at Sage Kitchen was that the restaurant seemed a bit dead for a Saturday night. Travis and I concluded that this was probably a result of the early hours (it closes at 8:00) and lack of alcohol. The restaurant is a BYOB and does not serve booze of its own. I’m sure that during the weekday lunch rush, Sage Kitchen is packed. Overall, no complaints. 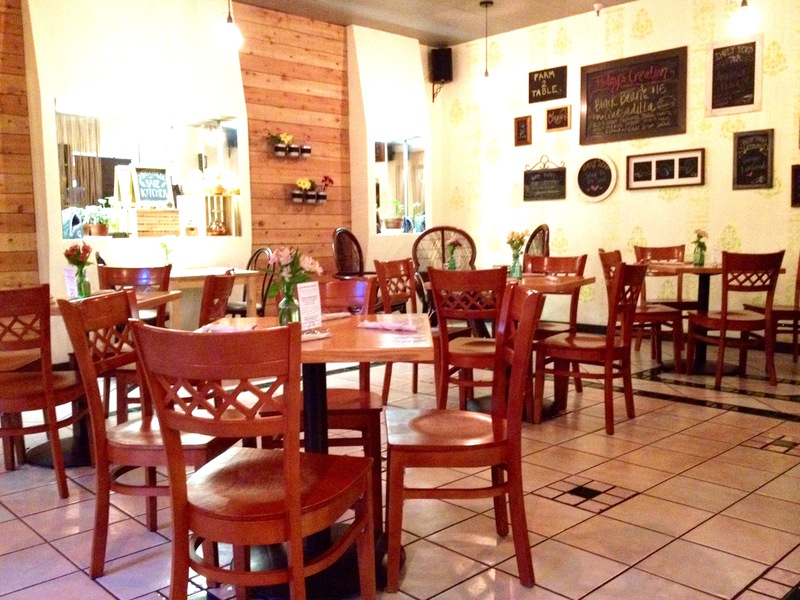 Grab a bottle of your favorite wine and go to Sage Kitchen to get your vegan eat on!